Migrant Universe: Angel of Absence is an enigmatic and powerful work that seems to assume its own sense of gravity. Inspired by medical and botanical illustrations, maps and charts, and manuscript illuminations, Softić deftly weaves together figures both clinical and commonplace; teacups and strands of beads are juxtaposed with cellular and plant-like forms. 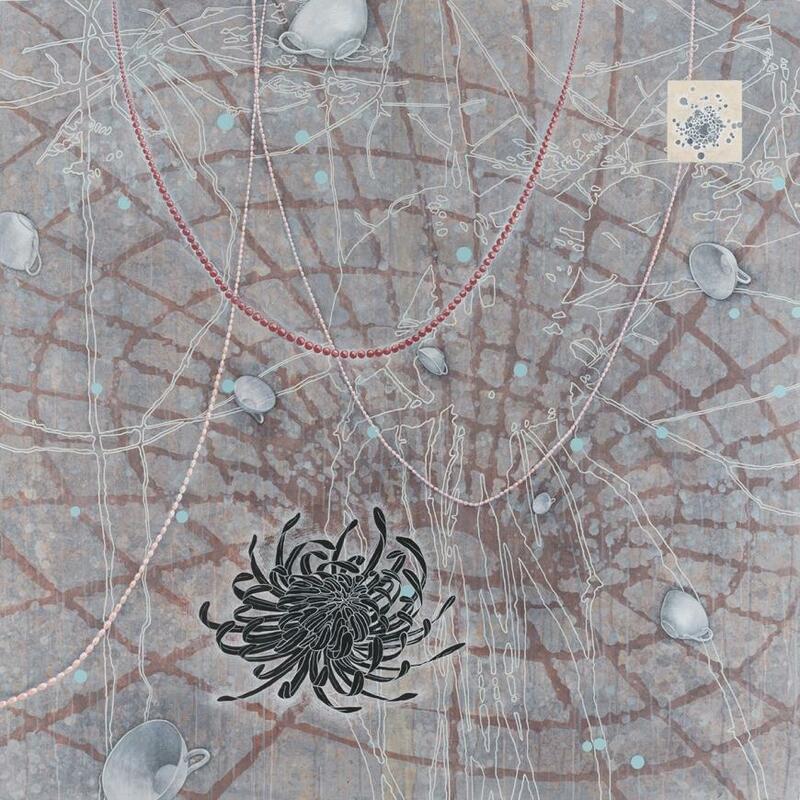 The composite nature of her work addresses concepts of cultural hybridity and transience. Critic James Foritano of Artscope magazine notes that within her work, “untroubled by the boundaries of our daily three-dimensionality, commentaries swim both in front of and in back of this cosmic disruption, unconcerned and undisputed.” In its mysterious otherworldliness, Angel of Absence speaks to what the writer Edward Said called “an awareness of simultaneous dimensions,” a concept upon which Softić concentrates throughout all of her Migrant Universe works.